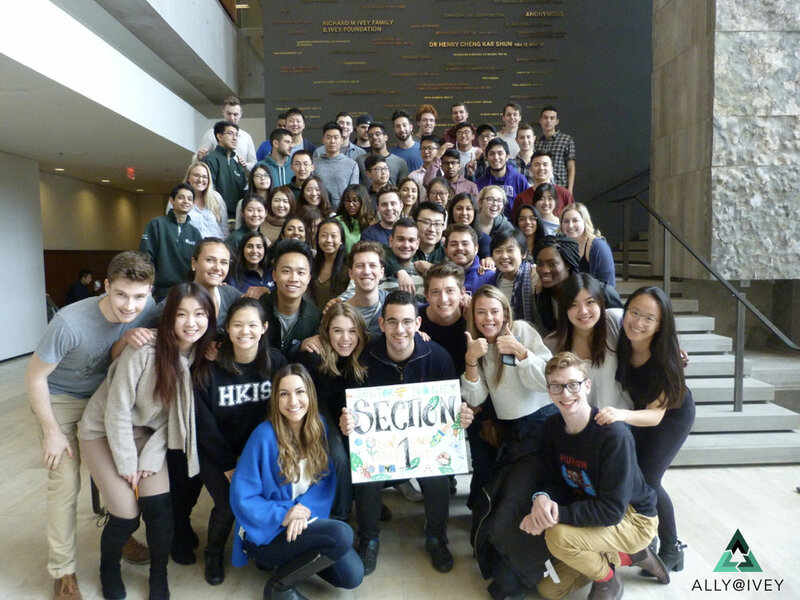 All HBA1 students had the opportunity within their section classrooms during class breaks to represent pieces of their identity on a section-specific art project. 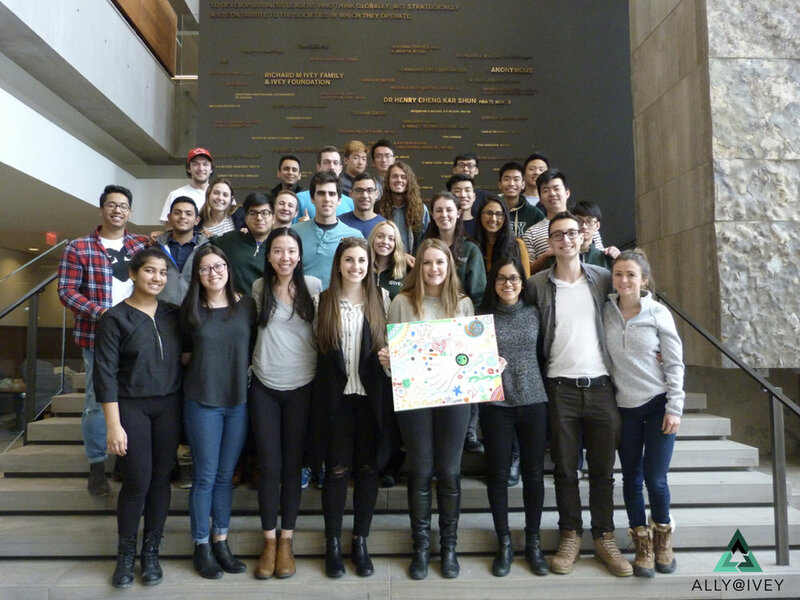 This project entailed students collaboratively painting on a canvas together with their section mates and was inspired by the concept of the beauty of intersectionality. Ally@Ivey encourages the Ivey community to think critically on the systems and occurrences in society that can shape the experiences that one has, the beliefs and associations that surround different categorizations, and their intersectionality.